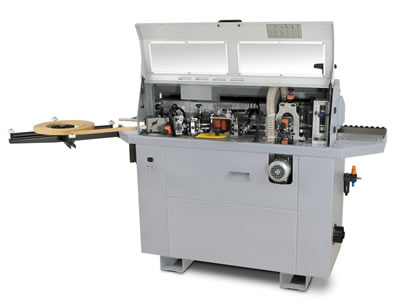 Thermwood Corporation is proud to announce a new compact series of automatic edgebanders from Fravol. The B Series from Fravol is constructed using a steel frame and designed to be compact but versatile and easy to use. The BEE can process banding up to 3mm thick PVC and comes equipped with a 1kg (2.2 lbs.) Teflon lined glue pot, 3 pressure rollers, end-trimming unit, top/bottom trimming unit and a glue scraper. 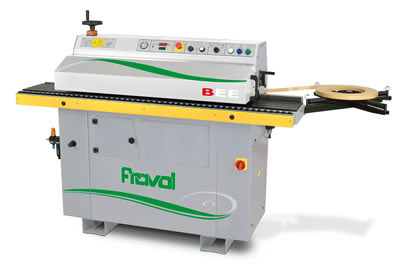 Fravol has been in business since 1963 producing heavy-duty, versatile, and easy to use edge processing machines for the woodworking industry.